We know that “it’s good to talk” so give us a call on 02380 001421 to arrange a free initial consultation or fill in your details below and we will be in touch. We are always happy to listen and eager to help you make your business the best it can be. 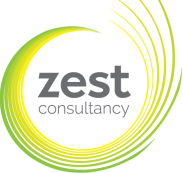 ﻿zest consultancy – the name says it all!